A novel from the author of Where'd You Go, Bernadette, about a day in the life of Eleanor Flood, forced to abandon her small ambitions and awake to a strange, new future. ...[an] off-kilter, witty send-up of life in Seattle ... it feels as though we are along for the ride with a slightly unhinged narrator at the helm. But despite its modest set-up, her journey feels revelatory because the language is steeped in metaphor, and the characters approach the feel of allegory ... Today Will Be Different is nothing short of a masterpiece, but best of all, it’s satisfying to read something that seems to have been so much fun to write. ...takes place in less than 24 hours, but packs in more twists, jokes and genuinely moving dialogue than anyone has the right to expect ... Semple crafts her twists and turns beautifully; they're always surprising and never less than hilarious ... Semple navigates the strait between funny and tragic with incredible grace ... Today Will Be Different is hilarious, moving and written perfectly, and it makes a good case for Semple as one of America's best living comic novelists. 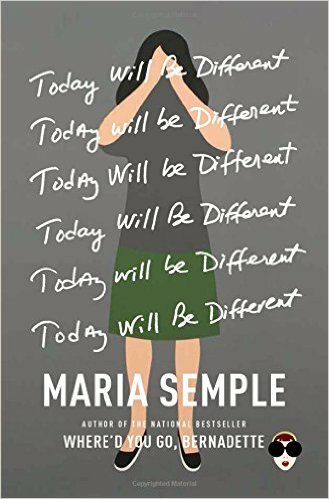 ...truly smart and deep and funny ... Semple brilliantly conveys a whole array of angst — self-deprecation and existential dread and a panic attack of neuroses — while simultaneously packing in a liberal dose of levity ... it’s a joy to watch Eleanor struggle to change for the better. That we get to laugh along with her is an added bonus. 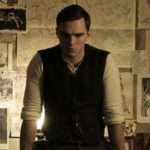 What did you think of Today Will Be Different?